We're rapidly approaching the launch date for the new iPhone 2019 – or the iPhone 11, or the iPhone XI, or whatever Apple ends up calling it. September should be the month it launches, and we've already heard plenty of rumours, leaks and speculation about what's in store. Here you can find all that new iPhone 2019 information in one place, both official and unofficial. 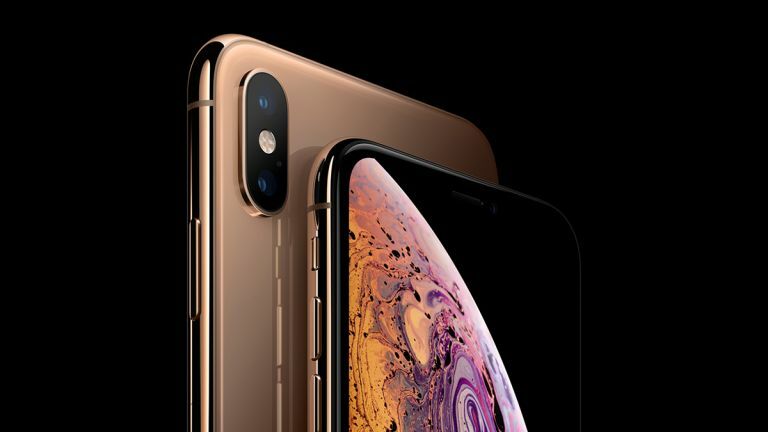 If you're eager to find out exactly what the iPhone 11 is going to have in store, and whether it's going to be the smartphone upgrade for you, you should find plenty to interest you. While we were very impressed with what the the iPhone XS, the iPhone XS Max, and the iPhone XR have had to offer, we can't wait to see what's around the corner with the iPhone XI. After all, Apple knows the competition keeps on getting fiercer. You don't have to be a modern-day Sherlock Holmes to work out that the new iPhones will arrive in September 2019. That's the month that Apple always launches its handsets, and the iPhone 11 should be no different. While we're still waiting for an exact date, it will probably be in the first half of the month. The iPhones of 2018 were launched on 12 September, which may or may not give us a clue about when the new iPhones for 2019 are going to arrive. Apple already been finalising these phones of course, but how many will there be? We may well get an iPhone 11, an iPhone 11 Max, and a cheaper... iPhone 11 XR? That would match this year's handsets, but we don't really know what naming scheme Apple will go for at this stage. Don't expect the pricing to change too much: Apple currently charges £999/$999 and up for the standard flagship, £1,099/$1,099 and up for the bigger flagship, and £749/$749 and up for the cheaper model. If anything, the top-end phones will get more expensive and the budget phone will drop a little in price. We should hear more about iOS 13, the software that'll be running on board the iPhone 11 phones, on the 3rd of June: that's when Apple is starting its annual WWDC event. The focus will be on the software though, so don't expect much in the way of hardware news. So what can we expect from the iPhone 11? Or the iPhone XI? Or the iPhone XS II or whatever it ends up being called? As with the 2018 iPhones, it seems we'll get three handsets with the new iPhones for 2019, according to respected Apple analyst Ming-Chi Kuo – and they'll have 6.1-inch, 5.8-inch, and 6.5-inch screens, just like this year. Not every tipster agrees though. Sources speaking to Japanese site Macotakara say that the standard iPhone screen will get bumped to 6.1 inches, and that two of the models are going to end up being thinner. A lot of recent speculation has centred around the idea of a triple-lens camera on the back of one of the new 2019 iPhone models: you can see from the shot above, purportedly a leak of a backing plate, that there's room for three lenses in the top corner of the iPhone 11. What's more, a couple of leaked designs have already appeared on the web, though we're not sure exactly how close they're going to be to Apple's final product. At this stage it seems to be a safe bet that at least one of the 2019 iPhone models will get a triple-lens camera. If you don't like the look of the unofficial concept image above, maybe the one below will better suit your aesthetic sensibilities. It comes from designer Jonas Daehnert, on Twitter as Phone Designer, and it shows the triple-lens rear camera in a much more Apple-like layout. The aforementioned Macotakara blog has also thrown its hat into the ring and said that the new 2019 iPhones are going to come with a triple-lens camera on the back. We've now heard it from so many sources, it seems very likely to be true. We've also heard plenty of talk about the possibility of a dual-lens camera on the iPhone 11 XR and maybe a 3D camera array on the back of another iPhone 11 model. That would give users access to even more advanced photo effects, and make augmented reality just that much more realistic. Sony is being tipped to provide this magical new component, and don't be surprised to hear Apple talk up the AR capabilities of iOS 13 when it gets previewed in June at the WWDC event: that would lay the foundations nicely for better 3D handling in the new iPhones for 2019. Apple typically goes in for a major design overhaul of the iPhone every couple of years, and considering the handsets launched in September 2018 looked almost exactly like the iPhone X from 2017, we could be due a more substantial change in looks this time, besides the triple-lens rear camera being mooted. Might that mean no more notch? Apple patents have emerged showing how it's trying to embed cameras inside the display, which would mean no need for the notch, and a true edge-to-edge display on every side. At the moment it doesn't look like Apple will go for the hole punch notch of the Samsung Galaxy S10. Don't worry though, Face ID fans: you'll still be able to unlock your phone with your face, and apparently faster Face ID will be one of the key upgrades for the 2019 iPhone 11. Again, that's based on a report from analyst Ming-Chi Kuo, who says the system will be quicker and more reliable by the time September 2019 rolls around. Another report suggests Face ID will be improved with vein scanning tech. Check out the concept video below that's been published online, showing not only a triple-lens rear camera, but also a notch-free front display for the new iPhone 2019. This is an unofficial clip, but it's based on some of the rumours we've been hearing already about the new handset – it could be close to the mark. Away from the cameras and the designs of the iPhone 11 devices coming in 2019, another rumour points towards reversible charging, something we've already seen on phones like the Huawei P30 Pro. The AirPods 2 support wireless charging, so it makes sense that the iPhone 11 would be able to juice them up. Internal performance increases are a given, and indeed we have heard talk about just how powerful Apple's next-gen processor for 2019 is going to be (spoiler alert: very powerful). We'll have to wait and see what the year-on-year boost is in terms of performance from the 2018 iPhones. We've also heard more extravagant rumours: that Apple might be planning to put a Touch Bar on the side of the iPhone 11, and could even come with a foldable screen of some description. To us that sounds like something that's more likely to appear in the iPhone 12 or the iPhone 13. At the slightly more believable end of the scale, there's talk that the iPhone 11 will switch to USB-C, just like the iPad Pros have. Meanwhile, the digital artists of the web are continuing to keep themselves busy imagining what the iPhone 11 might look like, but remember that these concept images are mostly speculative. Samsung has already provided some stiff competition for Apple and the iPhone 11 in 2019, and one way Apple might fight back is by including a stylus with the next batch of iPhones. That seems a little unlikely, but Apple Pencil support could definitely be on the cards. The new iPad Pros Apple unveiled in October 2018 could offer up some more clues: very thin bezels, no notch, Face ID that works no matter how you're holding the device, and of course the A12X Bionic processor, which may well appear in the 2019 iPhones. No doubt work is already nearly finished for the next batch of iPhones for 2019, but if Apple's designers and engineers do happen to be reading this, we've got some thoughts on what they might want to do with the iPhone 11. Battery life is something we could all use more of, and we'd love to see the iPhone 11 go for two days without charging. The A12X Bionic processor (or whatever Apple goes for as the main chip) should draw less power than its predecessors, but overall we're expecting about the same battery life as the iPhone XS – about 14 hours of video playback. The camera is one of the areas that the Google Pixel phones arguably have the edge in at the moment, so Apple will want to make sure there's a significant upgrade here. Will it follow some competing handsets and throw in an extra lens? Well, maybe not, but definitely look out for some upgrades to the optics. We're expecting a rash of 5G phones to show up during the course of 2019, but it doesn't look like Apple will be among them – not surprising, perhaps, considering it's still very early days for 5G network infrastructure. Insider sources reckon Apple is going to save its 5G iPhone for 2020, or maybe even 2021.